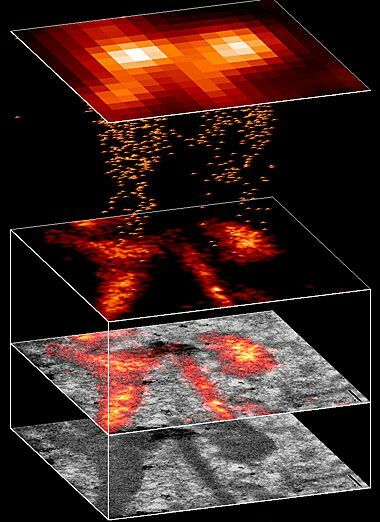 PALM (photo-activated localization microscopy) and STORM (stochastic optical reconstruction microscopy) are based on the same principle but were developed by two laboratories under two different names. In these techniques, fluorochromes are activated by flashes of light, but only some of them randomly light up because of the stochastic property of photoactivation. Observing molecules one by one repetitively gives a better image resolution.